How it works? 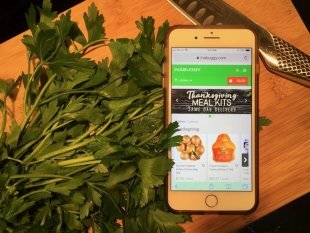 INABUGGY has partnered with two retailers (Walmart and Loblaws) in Toronto to have everything you need to make the ideal traditional Thanksgiving meal. Their team hand-picks your order from the store and delivers in as quick as one hour right to your home or even office. Also, when I took a look at the site I found the pricing is comparable, if not better, than what I would normally pay for individual items. Box options and ordering can be found here: inabuggy.com or can be ordered easily through the INABUGGY APP.